This delightful restored country house has five bedrooms, 2 en-suite, and sleeps 8 guests. Situated close to Skibereen in the Roaring Water Bay area of West Cork - a stones through from Jeremy Iron's legendary Kilcoe Castle. It is surrounded by several acres of well manicured gardens, and boasts a large patio area with stunning views overlooking roaring water bay. On the same grounds is a really quaint thatched cottage that sleeps 4 guests. 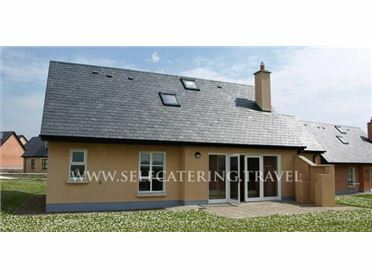 Both the house and cottage can be rented together to sleep 12 guests, or rented individually. The last picture in the gallery is that of the Thatched Cottage. Also available on a monthly basis for 3,500 euros..